Do you want to know how to get to the sokcho (station)? There are many ways you can get to sokcho (station) such as public transportation (bus, subway / metro), taxi and Blacklink limo/transfer/shuttle service. Don't sweat outside waiting for other transportation with your luggage. Make a round trip reservation with Blacklink as you plan for your trip. It is easy, convenient and available 24/7. Then, the assigned Blacklink driver will greet you at the arrival and will drive you to the sokcho (station). You can use Blacklink for not only hotel but also Gimpo Airport (GMP), Myeongdong, Jongno-gu, guesthouse, resort, airbnb, lodging and anywhere you want to go in Korea. Check out Blacklink customer review posted below. Sokcho is a city in Gangwon-do province, South Korea. It is located in the far northeast of Gangwon-do. Lying north of the 38th parallel, the city belonged to North Korea from 1945 until the end of the Korean War, when the dividing line between the two Korean states was officially altered. Abai Maeul was originally set up as an area to house North Korean refugees in Sokcho due to the separation of the two Koreas. Consequently, many of the population have relatives in North Korea. Today, Sokcho receives a number of tourists attracted by the closeness to the DMZ. The city is also a well-known gateway to nearby Seoraksan national park. Until the opening of the airport in Yangyang County, Sokcho had its own airport, linking the city to Seoul. 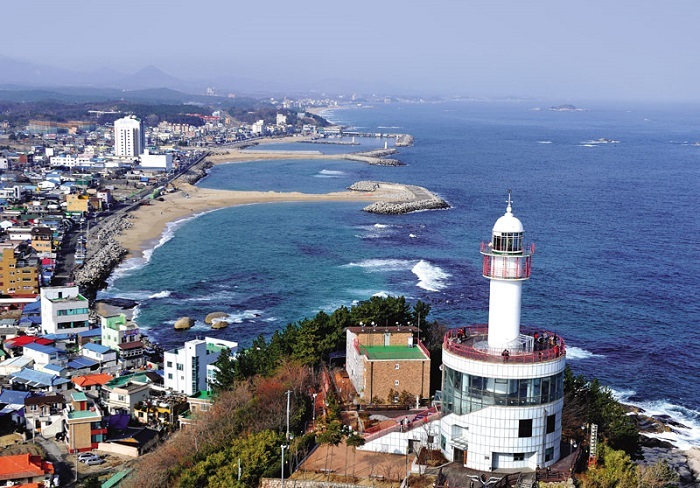 The city still attracts many national and international tourists, not only because of Seorak-san, but also because of its fine fishery products. The beach of Sokcho has a good reputation, and is open all year round with the summer months being the most popular. 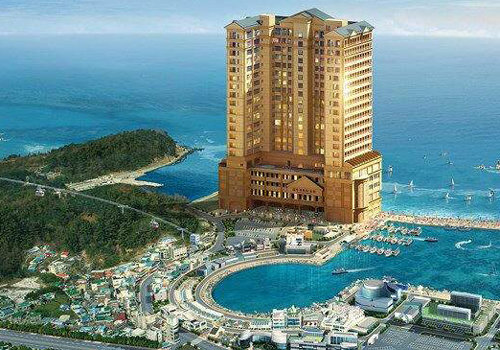 There are natural hot springs in Sokcho, some of which have been developed into spas and pleasure swimming halls. There are also golf courses which are popular because of their natural surroundings. The nearby Yeongrangho lake is renowned for its beauty. The reflection of Seorak-san and its Ulsan-bawi are particularly popular. There are a number of well-preserved Buddhist temples in the area around Sokcho. The main building of the Sinheungsa temple (Geukrakbojeon) is a popular tourist destination (originally built in the 15th century). Also popular is the Hyangseongsaji samcheung seoktap, a three storey pagoda of 4.3 metres. It dates from 652 and is located at the site of the Hyangseongsa temple. Sokcho is home to one of the few lakes naturally created by the sea. Sokcho is a great place to explore Seoraksan National Park from and any of the number 7 buses will take visitors to the park entrance. 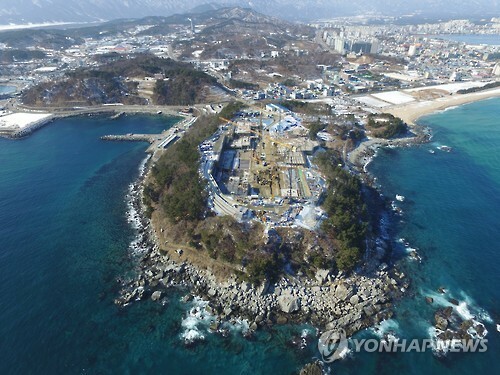 Yeonggeumjeong is a popular pavilion built on the shores of Sokcho. It is not only popular for its magnificent views of the sunrise, but also for the sound of the sea which is thought to be particularly nice at this site. It is thought that the pavilion was built at this location for sonic reasons. Sokcho offers many food districts to enjoys the local cuisine. Foodtown is a two block area dedicated to restaurants where visitors can find mainly Korean style beef pork and chicken restaurants. There are also some bars and noraebangs (singing rooms). Daepo harbor, outside of Sokcho on the road to Yangyang offers upwards of 100 individual mini restaurants serving raw, grilled, boiled and deepfried seafood of every variety. 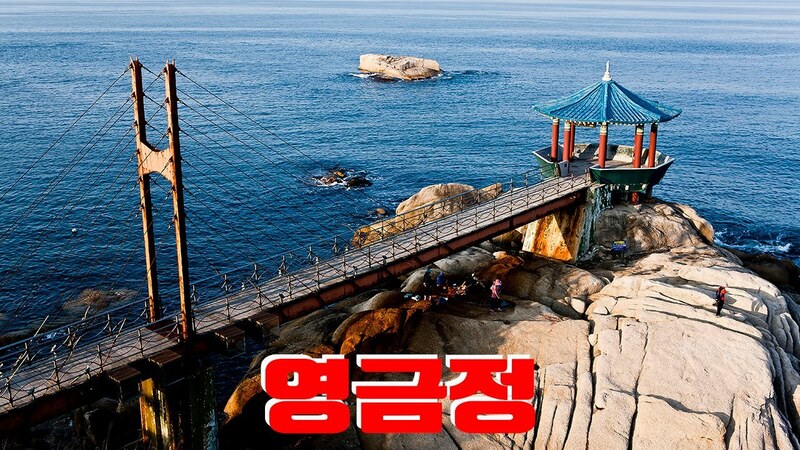 On the north side of Sokcho near the lighthouse visitors can also enjoy numerous raw fish restaurant as well as grilled. Abai Mauel, accessible by the Gaet-Bae offers more seafood and their own unique stuffed squid, Abai Sundae. In October Sokcho comes to life with the Seorak Cultural Festival. There is no shortage of events in which to participate. Parades, stage shows, contests, races and various other forms of entertainment all fill the calendar during the festival. And what festival would be complete without row after row of food stalls. An extremely popular event is the rice cake making contest, and the sampling that follows. The locals tell one not to miss the "Taffy Vendors". A troupe of professional entertainers that sing, dressed as the self described "Traditional Korean Beggar", who donate all proceeds from the sale of taffy and their CDs, to charities. Another unusual event is the Gaet-Bae, or raft, race. Two teams propel the rafts across the course by pulling on long handled hooks catching the cable that straddles the deck of each raft.